Whether you dream of improving lives through health care, pioneering the next breakthrough in biotechnology, or teasing apart a food web in a vanishing rainforest, Biology at SAU will help you achieve your goal. Our graduates work as doctors, dentists, veterinarians, and biologists at places including Pioneer Hi-Bred International, MedTox Laboratories, and many others. 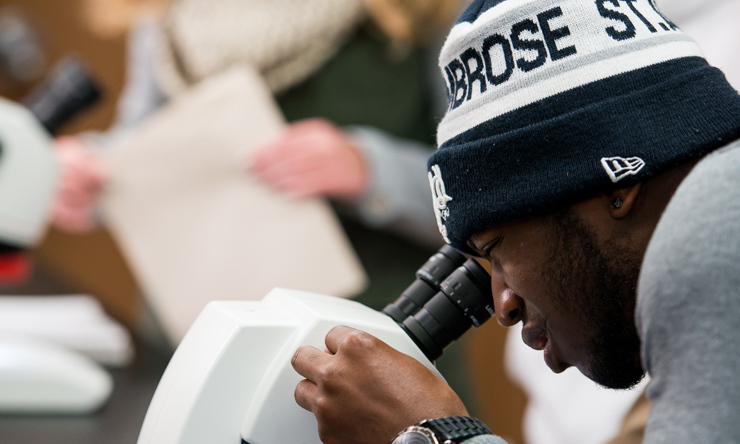 Undergraduate Biology at St. Ambrose is rigorous, but you’ll benefit from close, professional interaction with faculty and learn how to think like a scientist. 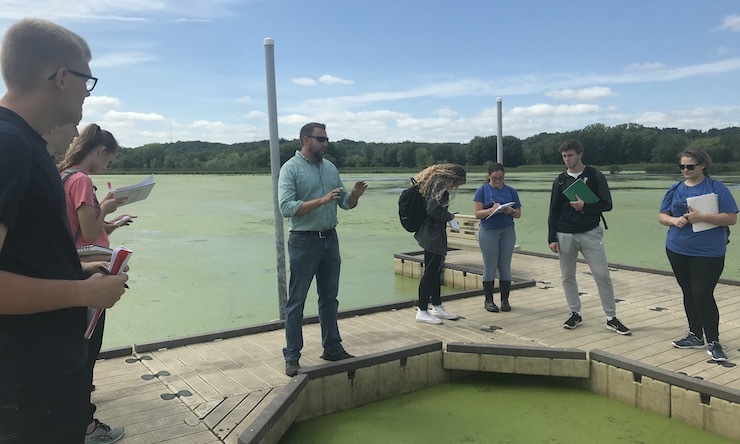 At a mid-size school like St. Ambrose, our undergraduate Biology majors have the opportunity to conduct experiments and research in various field locations surrounding the Quad Cities, including Nahant Marsh (featured in these photos). Biology is a broad major that can prepare you for a variety of positions and post-graduate study programs. In fact, 90% of our students go into healthcare. Introductory courses provide a strong foundation in the major sub-disciplines of Biology. From day one, you begin training to think like a Biologist, learn how to ask interesting questions, design well-constructed experiments, analyze data, and draw appropriate conclusions. Upper-level courses include Biological Literature and Communication, Cell and Molecular Biology, Ecology, Evolution, and Genetics. You will acquire an in-depth understanding and appreciation for sub-disciplines in the field. Our rigorous curriculum prepares you well for your future endeavors; graduating Biology majors consistently score above the national average on the Major Field Test in Biology. If you are pursuing a career in the health sciences, you get the unique opportunity to study Anatomy and Physiology with human cadavers. This rare undergraduate experience gives you an advantage in medical school, dental school, or other health science fields. You can also take short-term study abroad courses in Marine Biology in Belize, Tropical Biology in Ecuador, or Mountain Biology in the French Alps with St. Ambrose Biology faculty. Click here to search our study abroad programs. What are my unique learning opportunities? Our department faculty cares about your academic success and personal goals, and because we have roughly 150 biology majors, we can and do give our students personal attention and guidance. We created a Pre-Health Professions Concentration that provides you with the necessary coursework, skills and knowledge to enter a number of highly sought-after research and professional medical programs. In fact, our anatomy and physiology courses use cadaver dissection-based labs, making SAU one of the few universities in Iowa to offer this type of undergraduate experience. We've designed a strong curriculum and give you opportunities that support your goals; just ask our graduates, 90% of whom go into healthcare. Click here to read about some of our graduates and the success they've realized in the healthcare field. 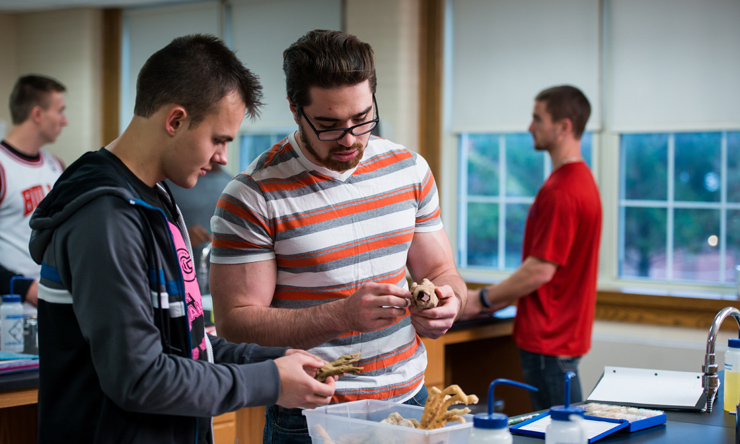 In each laboratory course within the biology major, students design and implement their own experiments. You will analyze the data and present your findings in both written lab reports and oral PowerPoint presentations. These student-led, inquiry-based laboratory experiments help you gain valuable critical thinking and communication skills that can be applied to any profession. Are your joining SAU as a first-year student? 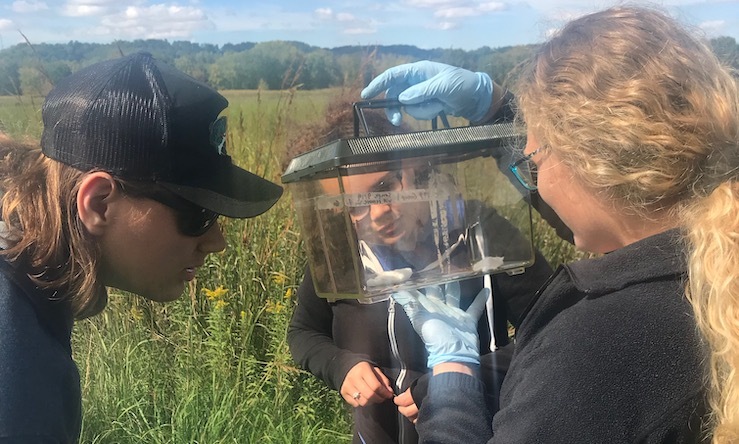 Consider enrolling in our Field Biology Research Learning Community - Inquiry in Action - which takes the lab to one of the few remaining urban wetlands near the Mississippi River, Nahant Marsh. The Integrated Statistics and New Student Seminar courses give you the support you need for generating strong experiments and presentations, and you get to present your research to the Ambrosian community at the end of the semester. Deepen your learning by joining Biology Club or our Biology Honor Society, Beta Beta Beta. Become a member of Doctors to Bee, and be guided and supported by your peers as you prepare for graduate school. You can also work closely with faculty while participating in Biology Lab Prep Works. We are one of few universities in Iowa offering Peace Corps Prep, a program that can make you a stronger candidate for volunteer positions within the Peace Corps or other service programs. You'll gain skills and a cultural worldview that employers value and best of all, most students can earn the certificate - awarded by the Peace Corps - without taking extra courses. Peace Corps Prep is a competitive edge that sets you apart and broadens your opportunities, no matter what path you choose. Click here to learn more. The Biology Department at SAU provides a strong foundation in the life sciences, which can prepare you for a variety of healthcare careers. 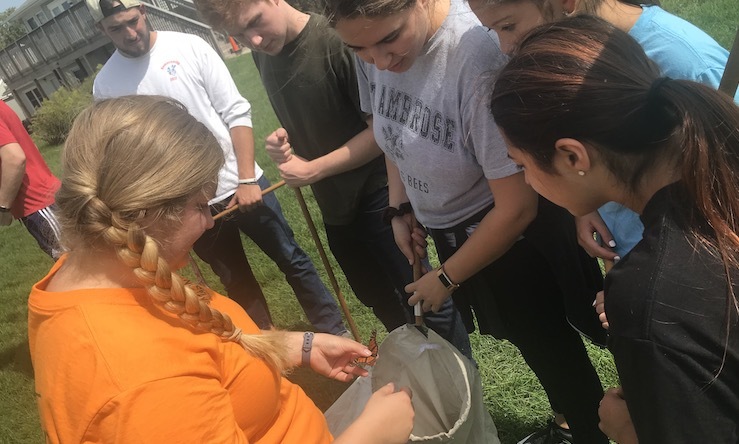 As a Biology major, you develop critical thinking skills, read and interpret primary scientific literature, design experiments and analyze data to answer questions about the living world. This also allows you to understand the complexities of the human body: how it works, what it needs, how it can be harmed, and how to fix those ailments using modern medicine. Our Bachelor of Science degree in Biology, coupled with General Education courses and a Pre-Health Professions Concentration, provides you with the courses necessary for admission to many graduate programs in the health sciences. Click here to learn more about our Pre-Professional courses of study. Click here to learn about Doctors to Bee and the many ways our students support each other. legislation-related careers in law, government, or advocacy organizations. Gabriel Price '16 is currently earning his doctorate (Ph.D.) from the University of Illinois at Urbana-Champaign in Ecology, Evolution, and Conservation Biology. He is studying the effects of invasive earthworms on soil microbes and plant communities in the Midwest. Read about the award-winning company he launched and the impact he's making on the world. 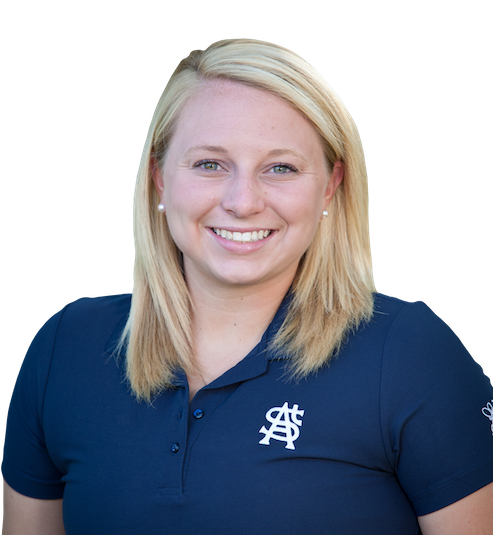 Meghan Ward '10, who graduated from the University of Illinois College of Veterinary Medicine in 2014, is currently employed as a DVM at Countryside Veterinary Service. She supplemented her biology major with a minor in chemistry. Laura Sass '09, who graduated from The University of Iowa College of Dentistry in 2015, is currently employed as a DDS at Community Health Care, Inc. in Iowa. She also minored in chemistry. or another course approved by the department. Courses below are taken in addition to the major requirements, unless indicated otherwise. Both PHYS 203 and PHYS 204, OR both PHYS 251 and PHYS 253. Please consult your advisor for additional requirements. By following this outline, you have a plan to graduate with a Biology degree within four years - plus room to tackle another interest. This plan assumes the student has not taken three years of foreign language in high school. Some courses have prerequisites. Consult the online course catalog for more details. Some courses have prerequisites. Consult the online course search or course catalog for more details. #Humanities courses must be from two different departments. *The Concentration in Pre-Health Professions requires students to complete either CHEM 208/10 or CHEM 319. 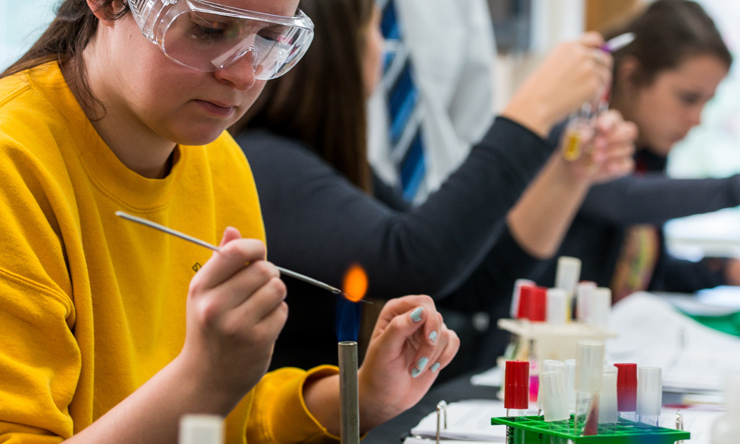 Students preparing for careers in medicine are advised to take both courses, which also fulfills the requirements for a Non-Teaching Minor in Chemistry.